Who says tech lovers can’t look trendy? Smartphones are bigger than ever, and they bring plenty of cords, adapters, headphones, and power banks along for the ride. Getting all this gear packed for travel or daily outings can be a headache. So we reviewed and picked out some of the trendiest and most durable pouches, crossbody bags, and waist packs to help. 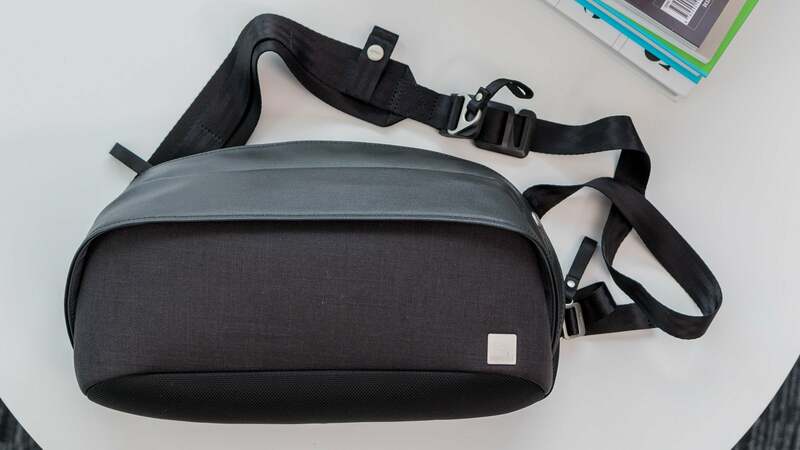 Moshi’s Tego Slingpack was the largest bag we reviewed. Highlights: The Tego Slingpack is just plain cool. Its design, while technically crossbody, is really unlike anything else. You’ll get tons of compliments while out wearing it. And most importantly: It’s theft-proof. All the zippers are concealed and face towards your body, so it’s next to impossible for a thief to get in while you’re wearing it. The key bit is how the bag hangs diagonally, letting you easily shift it from your back to your front for unzipping. Or you can even look super trendy and wear it on your chest. The 12.8 x 3.5 x 9.4-inch bag has two compartments: an outermost pocket and a much roomier main compartment. 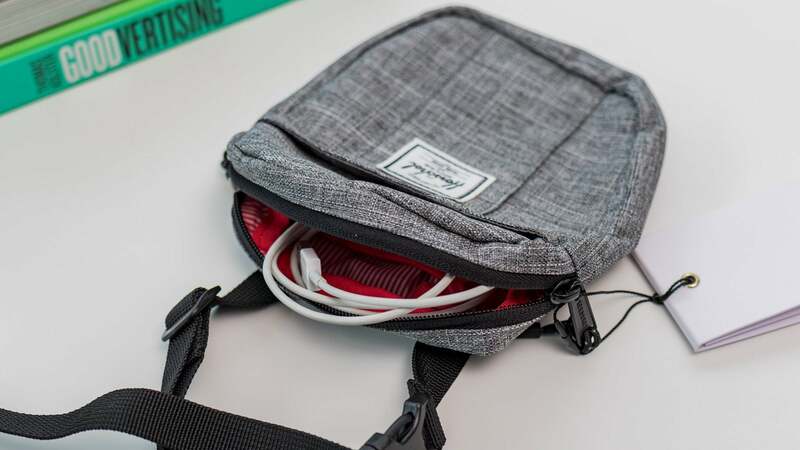 Another techy feature of the bag is how the outer pocket has an RFID shield blocking signals that could theoretically steal details off your credit cards. The fabric is also “cut proof” and is weather resistant to protect from rain and spills. The Tego Slingpack has an anti-theft pocket that can hold all kinds of valuable electronics. At first, the Tego Slingpack might feel like it needs an instruction manual. The two straps and two adjusters on the back can look like a mess. But once you hook the metal clasps together and sling it on, it’ll quickly make sense. The straps also provide a lot of customizability in how you want the bag to sit and how tight you want it, making it perfect for cycling, jogging, short hikes, or just walking around town. Moshi offers a 1-year limited warranty and you can buy this bag from Amazon for $99.95 with shipping included. It’s a small crossbody bag that’s great for a few essentials. Highlights: Herschel’s Cruz Crossbody bag is perfect for holding your smartphone and a few other essentials while you’re on the go. Whether you’re going for a night out or just a quick errand, it can snugly fit your smartphone, charger, wallet, and keys. It’s ideal for someone looking for a very small bag—it measures 7 inches high by 5.6 inches wide. One neat feature is the Cruz’s removable clip-fastened strap, allowing you to turn it into a clutch. Herschel Supply Co. is known for its trendy backpacks, but this crossbody bag is also available in an assortment of cool colors, including a snow leopard print. You can buy it from Herschel’s website, with shipping and a limited lifetime warranty included. Incase’s Side Bag was our favorite waist pack we reviewed. 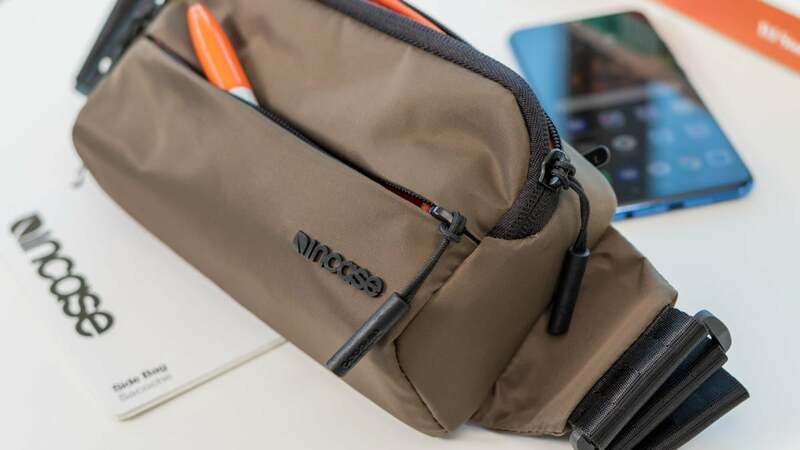 Highlights: Incase is known for its excellent cases and sleeves for electronics, but it also makes one heck of a waist pack. 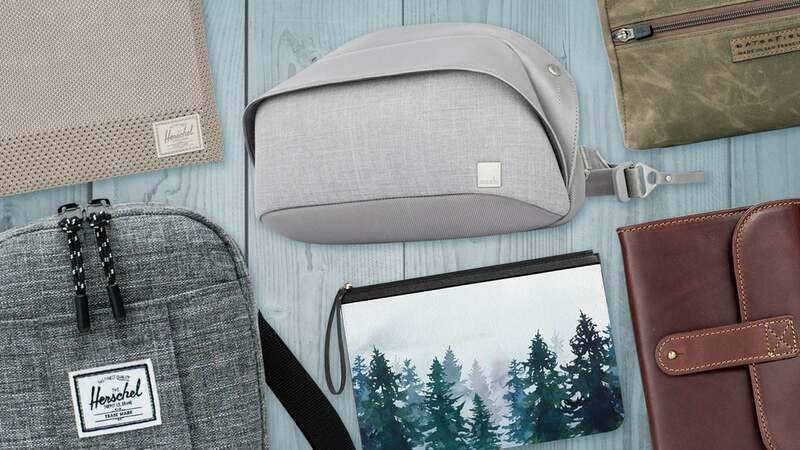 The aptly named Side Bag is compact, but can snugly fit a smartphone, charging cord, power bank, and a few other odd items. It might be small at 8.5 x 2.5 x 5.5 inches, but it has three pockets: one outside, a main compartment, and an anti-theft pocket that rests closest to your body. Our favorite pocket is the anti-theft compartment, which is lined with faux fur. Overall, it’s a great little bag for holding your valuables while you’re out and about. You can buy the Side Bag from Incase’s website, with shipping and a 90-day warranty included. The Gear Pouch is good quality and made in the USA. 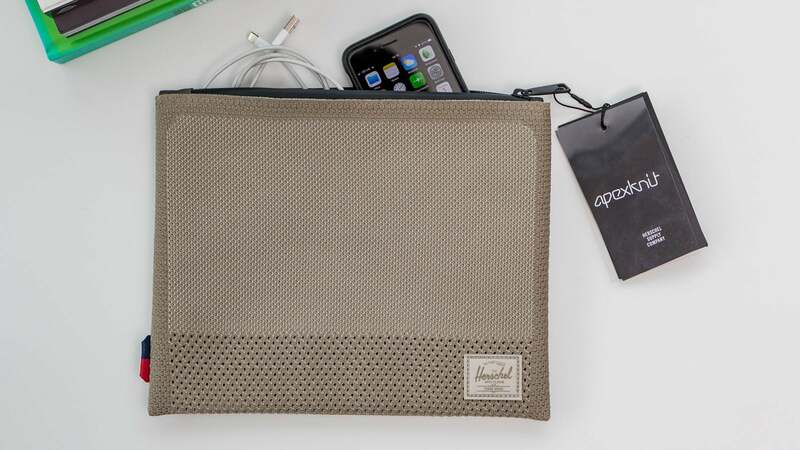 Highlights: Made in San Francisco for tech lovers, WaterField’s Gear Pouch is perfect for holding your precious electronics. 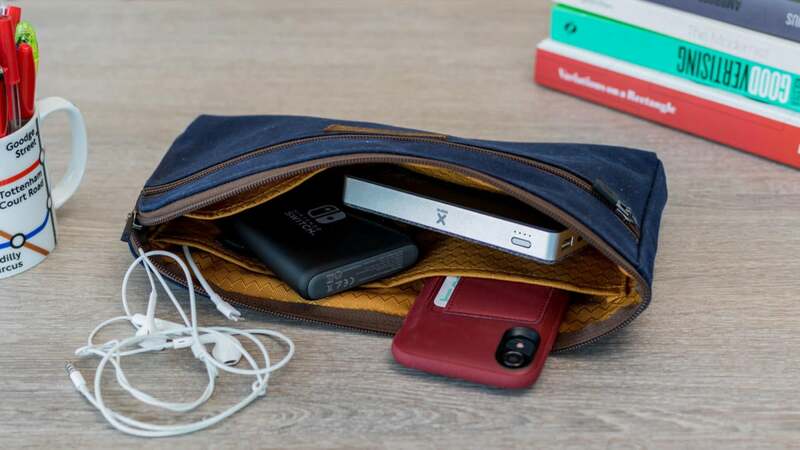 The pouch feels incredibly well-made, and cleverly zips down the right side all the way so you can easily pull things out. Both the canvas and liner are waterproof so you can be sure your tech stays safe from splashes or spills. The main compartment also includes two different sections for organizing. One of my favorite features is how the outside zipper for the main compartment is self-locking when folded down. 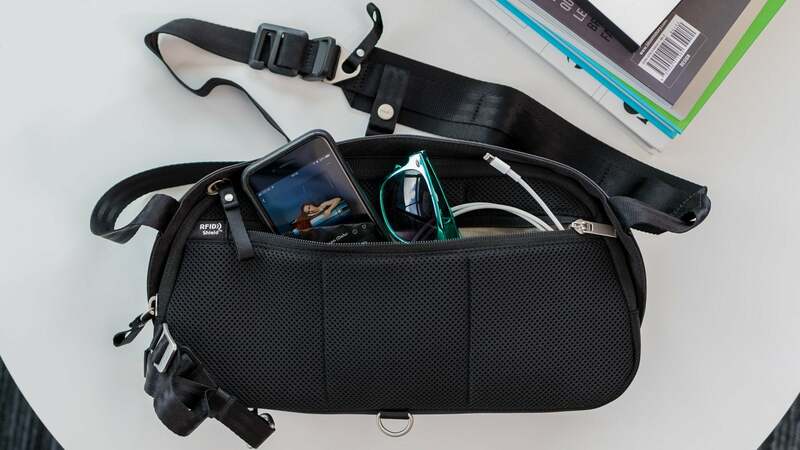 The largest-sized Gear Pouch can hold a whole lot of stuff. The pouch comes in three different sizes, but we personally recommend the largest size we reviewed (which measures 11.5 x 6.2 x 1.0 inches). It also makes for a great travel item if you’re looking to take electronics or other important belongings on a trip. Generally, it’s a great organizer for electronics and valuables. 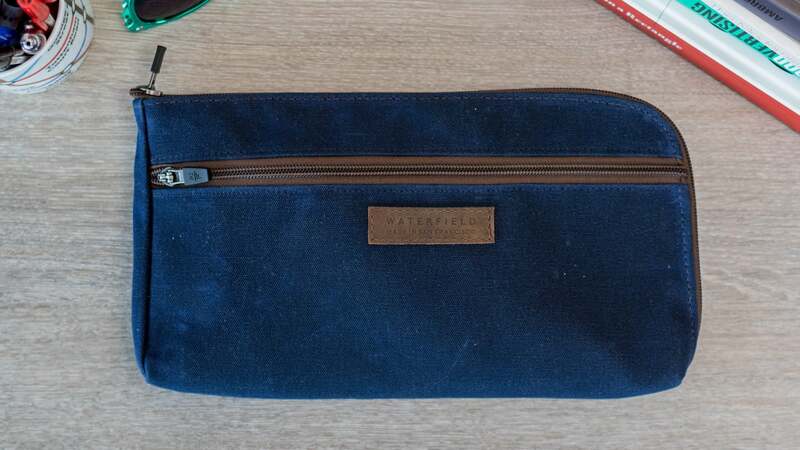 WaterField comes with a lifetime warranty from defects and charges $2 for standard shipping. This print is just one of the many, many designs available. 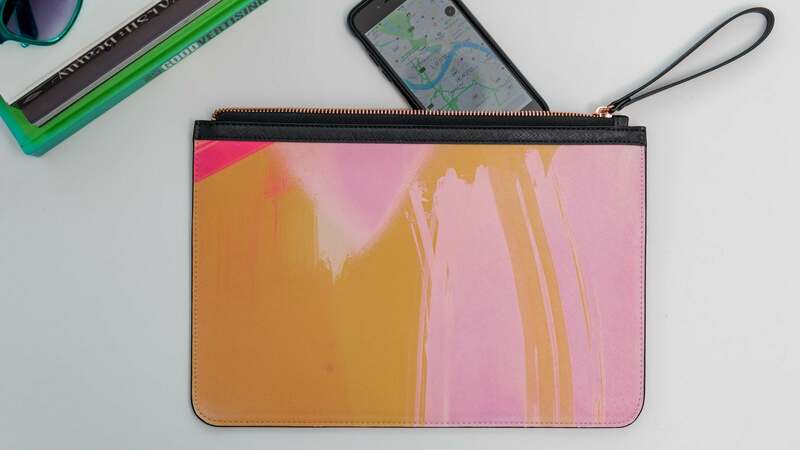 Highlights: This sleek saffiano leather Tech Clutch from Casetify comes in a seemingly countless number of graphic prints. The Tech Clutch is simple but elegant, and the colors of its design pop beautifully from the leather. There are three different sizes to choose from, but we recommend the medium 8.5 x 11.8 inches. It’s large enough to hold your smartphone, a small tablet, and some other accessories or valuables. Speaking of leather, it’s thick enough to protect electronics from scratches, light drops, and splashes. And its interior sports a cardholder and is lined with luxe suede. It might not be the most protective or high-tech pouch, but the many cool prints it comes in makes it worth it. Casetify provides a 6-month warranty, and shipping is included on orders more than $35. Herschel’s Apex Network is made from a neat woven fabric. Highlights: Herschel’s Apex Network is made from a woven fabric that’s both cool to look at and great to touch. It sports a waterproof zipper, yet its tiny holes won’t protect its insides from water. And it’s not quite big enough for A4 sized papers or files. 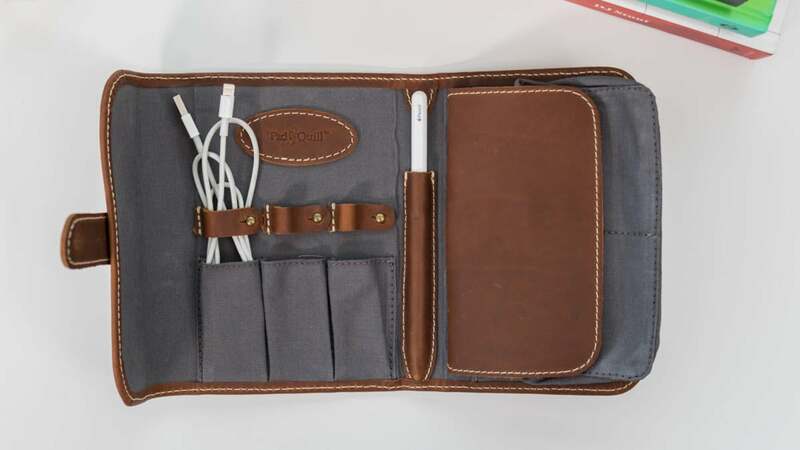 But it’s still an incredibly cool organizer and will do nicely for holding your tech when you’re traveling. Get your cord life together. Highlights: Cords might be the biggest annoyance with tech. You can count on this organizer to handle them with style and class. Pad & Quill’s Techfolio is made from full-grain leather and snaps shut with a metal buckle. It’s really the classiest cord organizer we’ve seen, but it also has a fairly steep $90 price tag. The Techfolio tightly fastens thanks to its buckle. 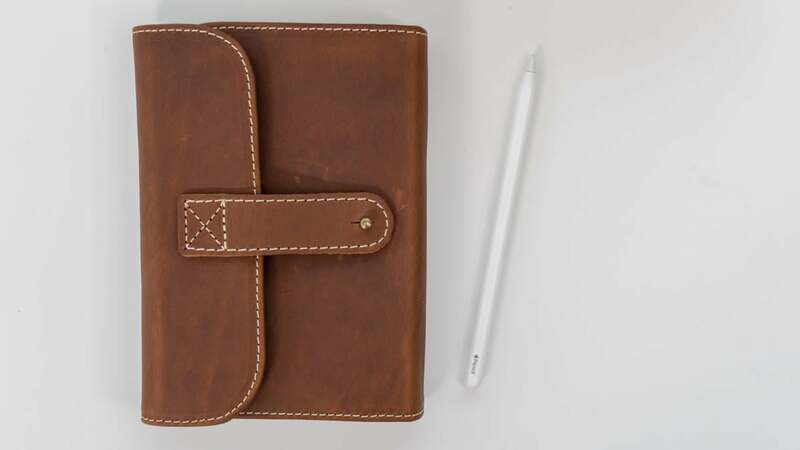 If you’re a leather lover and want something that just feels great to the touch, then this folio is definitely for you. But know this: The leather can get scuffed easily so be prepared for it to eventually develop a distressed look. The Techfolio Organizer is available from Pad & Quill’s website, including shipping and a limited lifetime warranty.